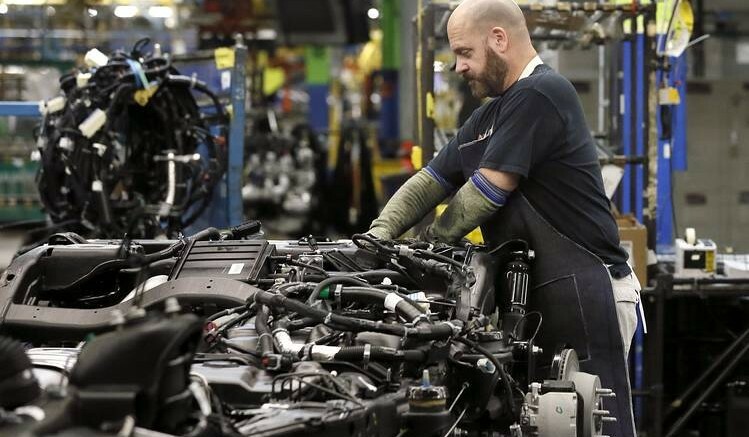 The U.S. economy grew at a faster pace in the third quarter of the year to sustain broad increased in productivity recorded in the second quarter. Gross domestic product expanded at a 3 percent annualized rate, according to the Commerce Department report released on Friday. This is higher than the 2.6 percent projected by economists and close to the 3.1 percent recorded in the second quarter. The best consecutive quarters since 2014. The report showed consumer spending, which accounts for about 70 percent of the economy grew 2.4 percent to add 1.6 percentage point to growth in the third quarter. Suggesting that consumer spending remains the powerhouse of the economy even with the services spending dropping to the slowest pace since 2013 and hurricanes Harvey and Irma slowing investment in the affected areas, the economy sustained growth. “Hurricanes Harvey and Irma have distorted many of the economic data releases, but the impacts are transitory and should unwind without any significant effect on the underlying trends,” Scott Brown, chief economist at Raymond James Financial Inc. in St. Petersburg, Florida, said in a note before the report. The price gauge in the report showed prices have started picking up. The Fed’s preferred price index climbed 1.3 percent year-on-year in the quarter, following a 0.9 percent increase. While this is below the Federal Reserve’s 2 percent target, it indicates steady growth ahead of interest rates hike and balance sheet normalization. In a related report, the House Republicans on Thursday finally adopted the Senate’s $4 trillion budget blueprint, despite previously complaining about the impact on deficit. This, experts believe will further pave way for Trump’s proposed tax reform plan. “By passing this budget today, we can send a clear message to the American people: Real tax reform is on the way,” said Rep. Kevin Brady (R-Texas). Therefore, with the economy growing at Trump’s 3 percent target and possibility of the tax reform plan finally coming to fruition, the US dollar is likely to sustain gains against the Euro common currency in the near term. Especially after trading at $1.1578 on Friday. The highest gain in three months.